Whether you are training for a triathlon or a duathlon, or simply want to improve your level of cardiovascular fitness, a training plan that consists of both running and biking is a solid option. It is important to construct a reasonable fitness plan that incorporates smaller goals and allows for adequate recovery and nutrition. Consult a physician before expanding on your current fitness routine to ensure that it is safe to do. If you are new to running, consult a personal trainer or a physical therapist before you decide to start running to ensure a safe and adequate training schedule. Start with base runs to assess your current endurance level and to improve your endurance, aerobic capacity and running economy. Base runs should not be long and you want to use a natural pace to properly assess and build on your current fitness level, as other types of runs will be used to better challenge your current level of endurance. Progression runs can be incorporated throughout the week between your base runs to challenge you and help you to progress. With this type of run, you start running at a neutral pace and increase your speed toward the end of your run. Biking offers a variety of different health benefits, such as lowering your risk of cancer, improving the health of your heart and enhancing your level of fitness for other sports. Set small goals that you will be able to either reach or exceed without intense effort so that you can stay motivated to keep going. 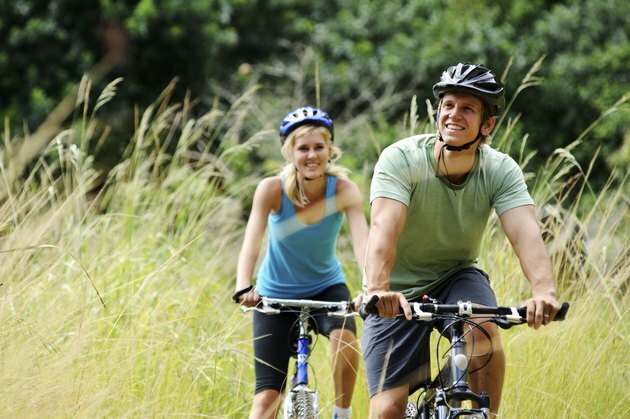 When it comes to biking, you have options and can choose one or alternate to keep your workout fun and new. 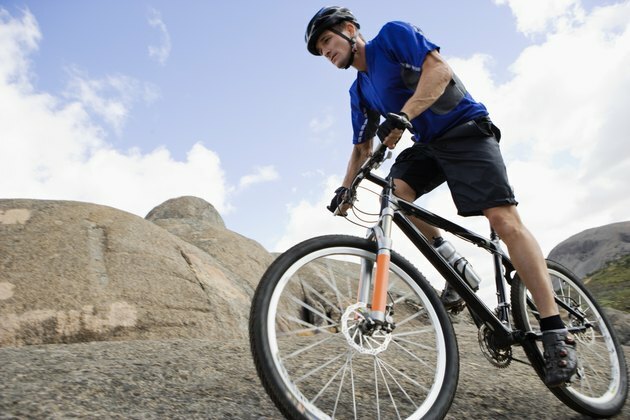 The different types of biking include mountain biking, track biking, casual biking, roadie biking and triathlete biking. Most people start out as casual riders because it allows for the most flexibility and enjoyment while you are improving upon your fitness level and you can choose to just stay a casual rider and still reap the benefits of biking. When you are training, you need to ensure that you are getting all of the proper nutrients and amount of fluids or else you risk experiencing potentially serious problems like low blood sodium levels and dehydration, especially if you are involved in intense and long competitions. Protein and carbohydrates are at the foundation of all nutrition plans because these nutrients are critical for both energy and recovery. In fact, about 40 to 50 percent of your energy will come from carbohydrates and your protein intake should be 10 to 12 percent of your total caloric intake. Your doctor will be able to give you full guidelines on your necessary caloric and nutrient intake based on your current health status. 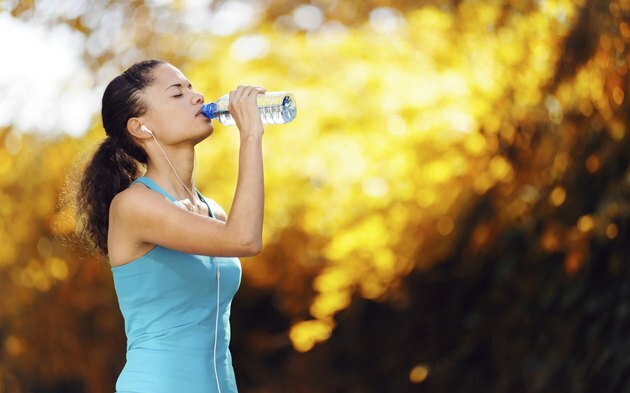 About 20 minutes before exercise, you should consume 200 to 300 milliliters of fluids and for every two to three hours of activity, you should consume 500 to 600 milliliters of fluids. When using both running and biking, alternate the days on which each is used for training. For example, bike on Monday, Wednesday and Friday, and run on Tuesday, Thursday and Saturday, with rest on Sunday. This allows for adequate training, as well as adequate rest, so that you can get the most out of your training while allowing the body the time it needs to recover. The three hallmarks of rest and recovery include napping when necessary, getting no less than seven to 10 hours of sleep every day and eating properly to allow for recovery. Short-term recovery is the immediate period of time following a training session and includes the cool-down phase, and long-term recovery is something you work on throughout the year and can include several weeks of lower intensity training and rest periods to allow for a full recovery from intense training.